The problem was I didn’t want to be funny. 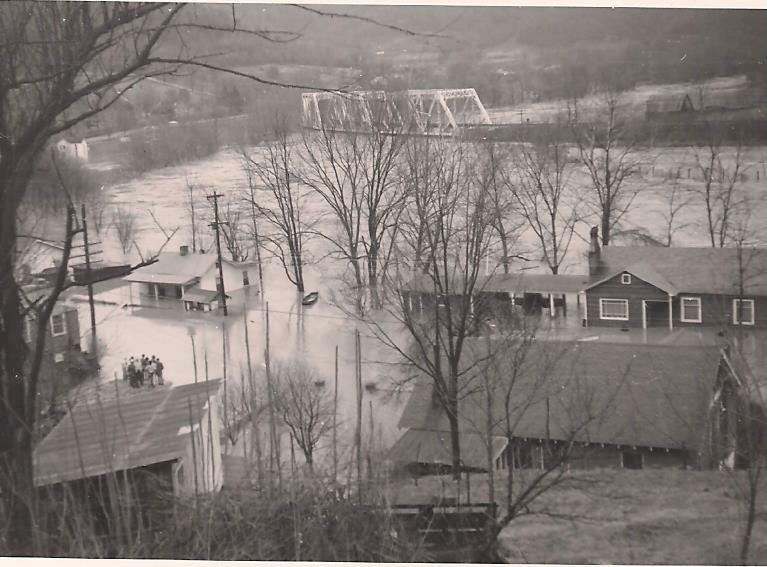 My grandparents had been forced out of their home years ago when the Cumberland River in Harlan County, Kentucky jumped its banks. I knew about flood waters. I knew about the loss of precious family photos and family treasures. I knew about family Bibles with generations of history plucked from the mud when the brown water returned to the river bed. How could I possibly offer anything to folks who had faced that? Oh, Lord, please help was my constant prayer. That prayer still was on my mind as I approached the automatic check-in. Just as I started to slide my ID into the slot, an agent called for attention. Well, that was me. Before I knew it, I was in a group escorted through the express security line and onto what now was a packed plane. My seat was at a window in the back. I always ask for an aisle seat as far forward as possible, so my new seat assignment assured me this trip was off to a bad start. Just as I settled in and leaned against the cold wall, my seatmate sat down. “Fine, thanks.” I was in no mood for chitchat. “Sure was.” I reached for a magazine in the seatback pocket. Maybe if I read he would ignore me. Now I was irritated. What an arrogant assumption that any woman wearing slacks and having gray hair didn’t have corporate reasons for being on a plane. I murmured a surprised “Uh, thanks” as he closed his eyes. Then I looked out the window and watched the ground rush by as the plane headed into the sky. God had answered my prayer for help. Just not the way I had expected. This entry was posted in God's presence, helping others, humor, prayer. Bookmark the permalink.